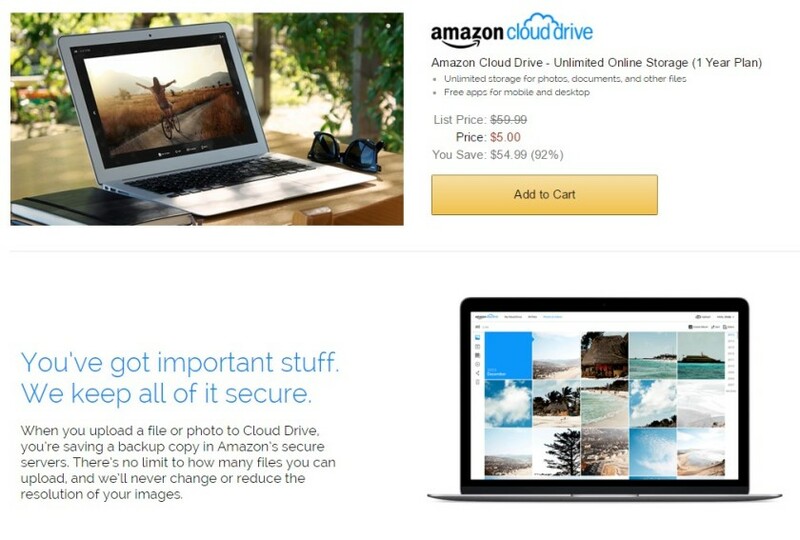 Amazon has unveiled a very lucrative offer for anyone seeking unlimited cloud storage, but just for one year. For just $5, you can grab the unlimited cloud storage which will include videos, documents and photos. However, if you want to store photos or videos, the price just drops to $1 a year. This amazing deal will be of great interest to many Microsoft OneDrive users since Microsoft have recently downgraded from unlimited cloud storage to 1TB of space. Although 1TB of space is a HUGE offer but the option of having something ‘unlimited’ is always good. The main reason of Microsoft slashing the unlimited offer was due to the actions of few users who misused the platform by uploading entire movie and series collections. The explanation given by Microsoft for removing its unlimited storage perk was that a few users were taking advantage of the unlimited storage perk to upload entire movie collections, among other things, thereby using nearly 14,000 times the amount of space consumed by an average user. The exciting offers on the cloud storage will surely expire soon so we suggest you grab them right now!